How much do we like the Kawasaki Ninja 1000? We like it enough to unveil it today as our Best Sport-Touring Motorcycle of 2017 Honorable Mention. In honor of that choice, we decided to take the wraps off the video review for the big Ninja so that people who don’t like to read as much as we do can still learn about all the cool ways that Kawasaki changed the bike. 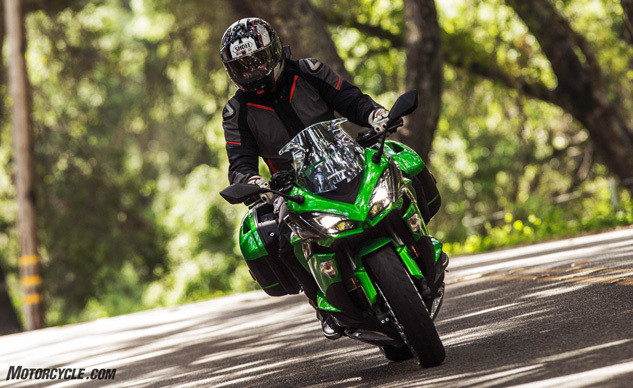 Although whole sections of the motorcycle remain mechanically the same, some electronic changes affect both power delivery and braking of the 2017 Ninja 1000.